As the #MeToo and Time's Up movements continue to make their mark on Hollywood and beyond, storylines that have gained notoriety on shows like Grey's Anatomy are now being reconsidered in a new light. In fact, showrunner Krista Vernoff doesn't think one of the show's main romances would even work the way it was originally told if it was written into the script today. 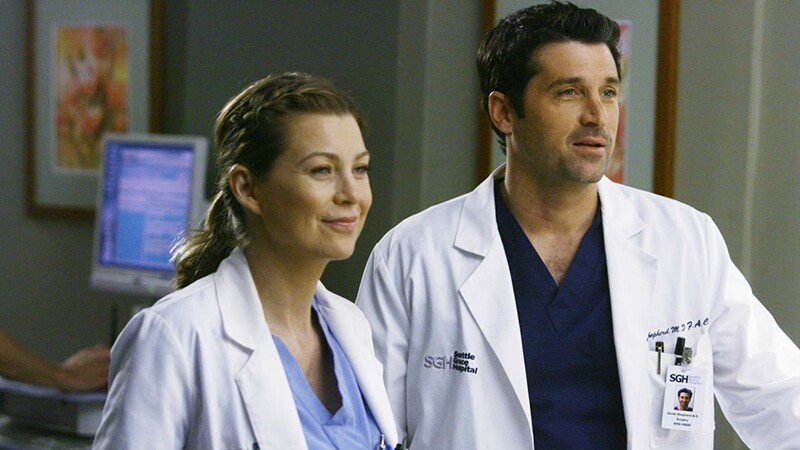 In an interview with the Los Angeles Times published on Wednesday, Vernoff admitted that the romance between Derek (Patrick Dempsey), who was killed off in 2015, and Meredith (Ellen Pompeo) would have to be presented differently in today's cultural landscape. “If you look at, for example, Meredith Grey and Derek Shepherd through the lens of Time’s Up and #MeToo, he was her boss, she was an intern, and she kept saying, ‘No, walk away from me,’ and he kept pursuing her, and that is probably not a story we would tell on the show today, and it’s a beautiful reflection of the changing times,” Vernoff said. For season 15, currently airing, Vernoff and the other writers on Grey's are taking lessons learned from this cultural shift to heart. Since there is a developing love triangle that involves Meredith and DeLuca (Giacomo Giannotti), who's a resident and therefore lower on the feeding chain at Grey Sloane Memorial Hospital, Vernoff is receptive to which dynamics have to be considered as the story unfolds. “This season, we’re doing a little bit of a reversal as we begin to build this love triangle that’s emerging with DeLuca as one the people in that triangle, and he is a resident and Meredith is an attending, and we’re having to address it differently than we ever would have before,” Vernoff told the L.A. Times. Grey's Anatomy has long been a harbinger of change in the primetime TV game under the direction of creator Shonda Rhimes and now under Vernoff's fearless leadership. The fact that the show has stayed so popular throughout its 15 seasons so far points to how carefully the writers do take into account the way times are changing. They always have a finger on the pulse of the moment.